You are invited to experience the comfort, luxury and softness of our luxurious Meridian bedding’s. Silky Soft made from 100% Cotton with 300 Thread count woven with superior single ply yarn. Quality linens like this one are available only at selected Five Stars Hotels. This contemporary fine pattern was printed using safer, cleaner reactive dyes. 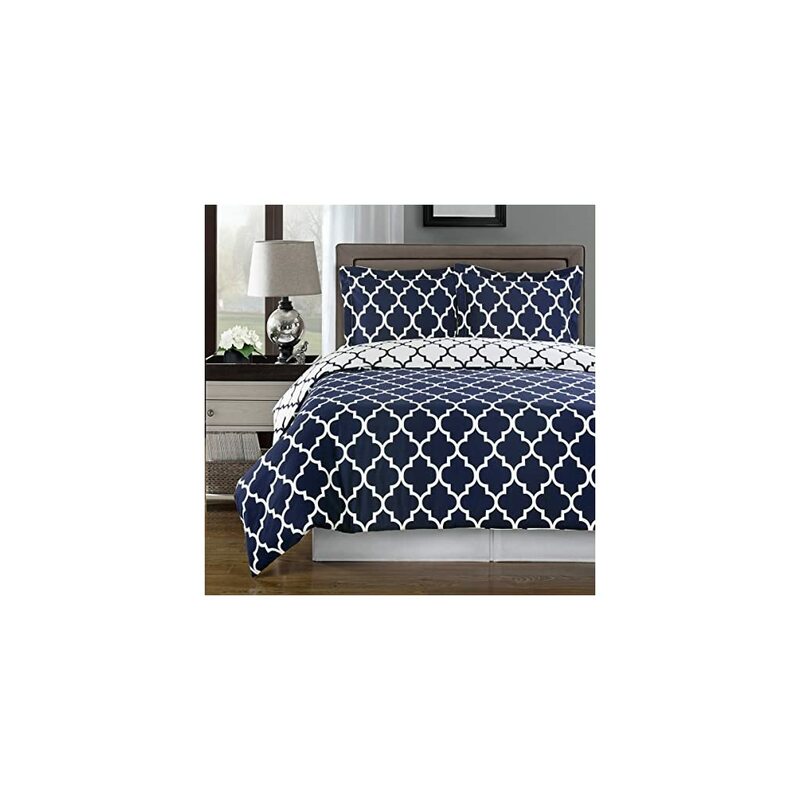 One set with two looks, the back colors of the duvet cover and shams are the opposite print of the front. so by turning the duvet cover and shams upside down, you will get new look in 10 seconds. 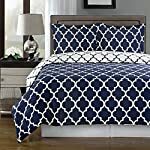 In Addition this set includes: 100% Cotton 300 thread count Sheet Set ( always Solid or Stripes White) and down alternative comforter ( Duvet insert)made of synthetic materials (Micro-Polyester) that simulate the look and feel of down.